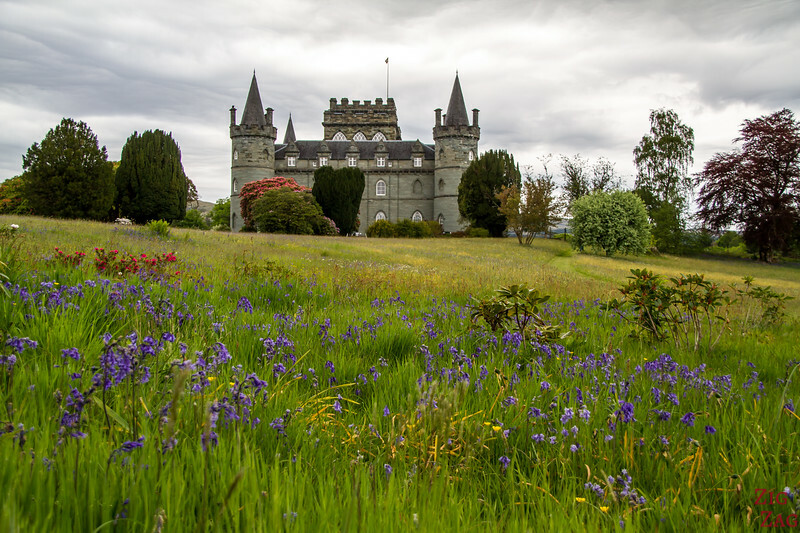 Let's discover some of the Best Scottish Castles that you could include on your itinerary: the most fairy-tale looking, the strangest, the most dramatic, the most scenic... with photos and video! 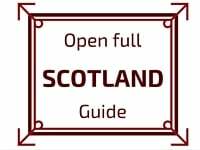 A great selection of the best castles in Scotland to inspire your trip. 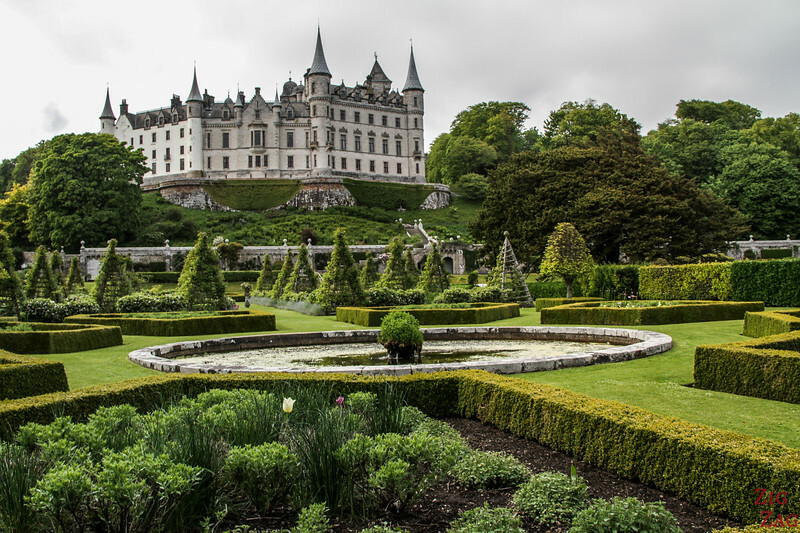 Located North of Inverness, Dunrobin Castle is a magnificent building surrounded by parks and gardens, close to the sea. All its angles are interesting and it is as dreamy from the front as it is from the back. But when you think about Scottish Castles, maybe the two presented before where not the ones that came to mind. 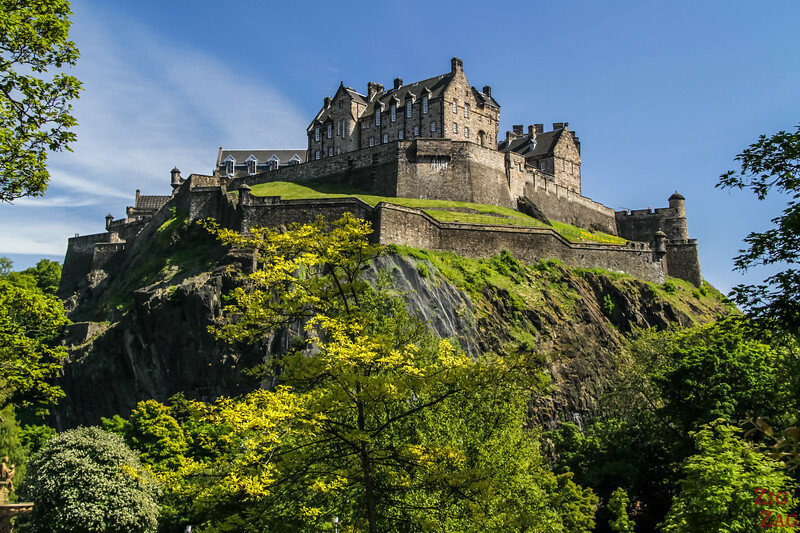 The most famous are the big medieval fortresses in Edinburgh and Stirling (and maybe Eilean Donan that I will introduce in the next category). Located in the center of Edinburgh, at the end of the Royal Mile, this castle can only impress. Thanks to its great location on top a hill, you can see it from many places in the city. This is one of the best castles in the UK. Just North of Edinburgh, Stirling has a similar structure, located on a hill. One of the best views is at its foot where Scottish cattle hang out. Unless you take a ferry to reach the isle of Skye, you have to drive past Eilean Donan Castle. The small fort is located where 3 lochs meet between the magical Skye island and the summits of the Scottish Highlands. 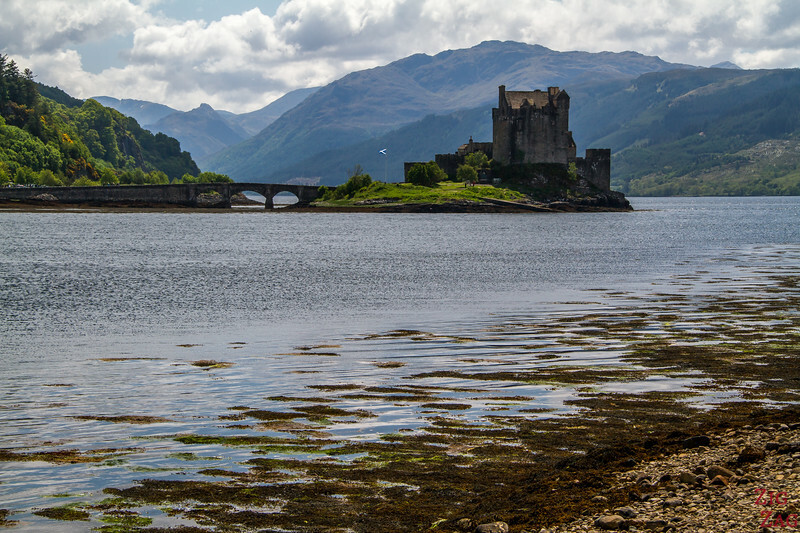 ​Discover more photos of the castle and its environment on the Eilean Donan article. The ruins of Kilchurn Castle are not the most impressive. 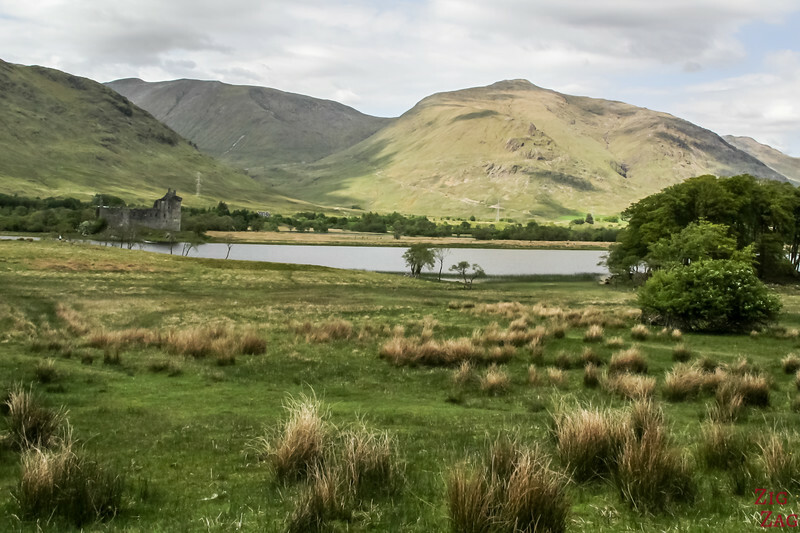 But its location in the North of the enchanting Loch Awe makes it worth a visit. The castles, along with many other beautiful places, are included in my eBook: The Road Trip Guide - Scotland. Located North East of Scotland, Girnigoe was one of my favorite Scottish Castles: the mix of ruins on a strange promontory carved by the sea is spectacular. 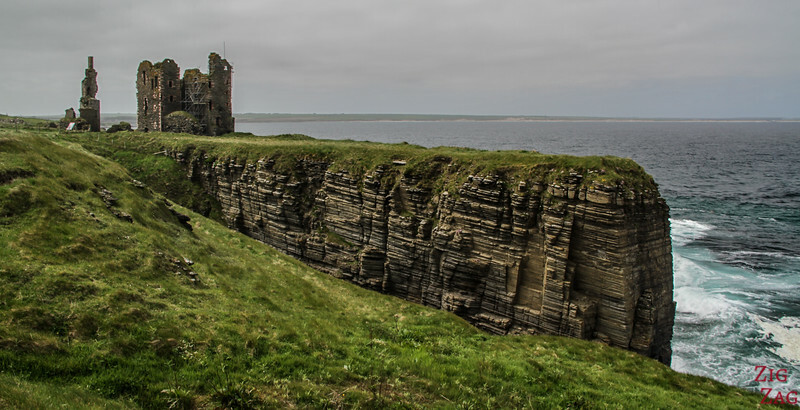 Discover more pictures of the ruins and the cliffs on the Sinclair Girnigoe Castle Post. The massive wall still standing of Tantallon castle is very close to the cliff. It is not as pretty as Girnigoe, but the fact that you can still climb to the top and see the incredible views makes it special. 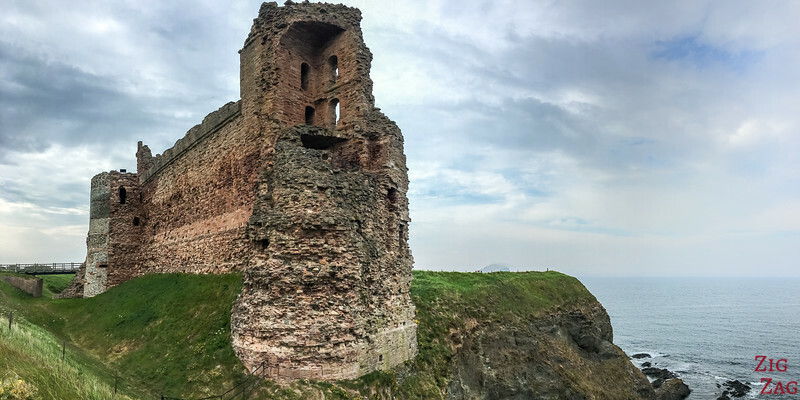 Discover the experience in video and photos in the Tantallon Castle article. 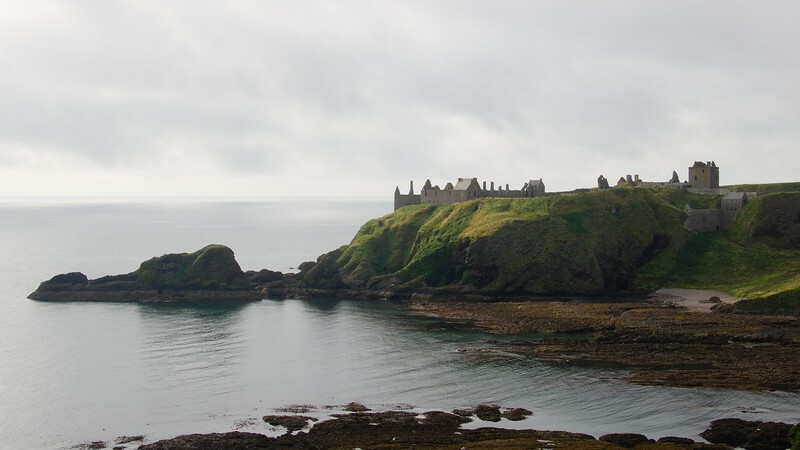 Another famous Scottish castle for its location is Dunnottar. South of Aberdeen, the ruins of the 13th century are located on a rocky promontory. If you like ruins, you will find plenty in Scotland. They are often disappointing with just half of a tower remaining. But sometimes you find a partial structure that you can explore. It is the case with Dirleton Castle just East of Edinburgh. 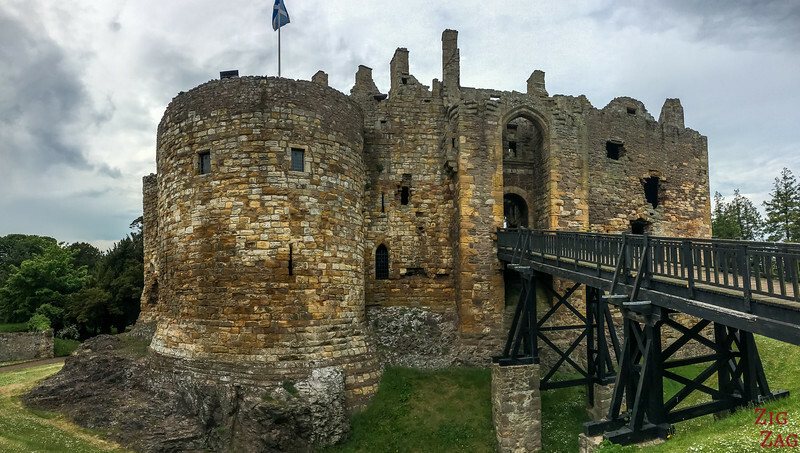 Explore the castle in photos on the article dedicated on Dirleton. Some of the best ruins also include the Tantallon and Girnigoe castles mentioned in the previous category. Caerlaverock was the first place I visited in Scotland. Located in the South, the castle is very intriguing with its triangular shape. Take the time to explore the inside as well as tour it from the outside. Every angle is fascinating. 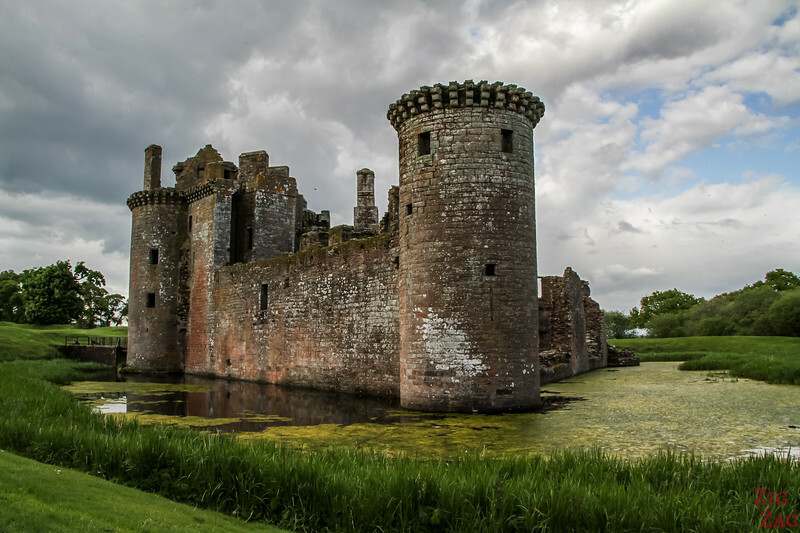 Discover more photos in the article dedicated to Caerlaverock Castle. 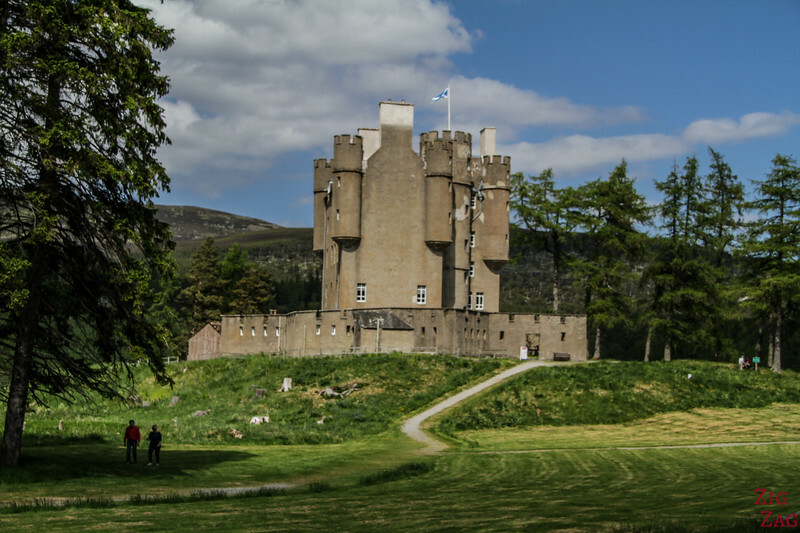 Located in the heart of Cairngorms National Park, the fort overlook the River Dee. Its L-shape tower was the base of grand hunting parties in the surroundind woodland. East of Cairngorm National Park, the castle remains at is was built in 1626. Located in a vast park with old trees, the Pinkish tower is a great example of Baronial architecture. 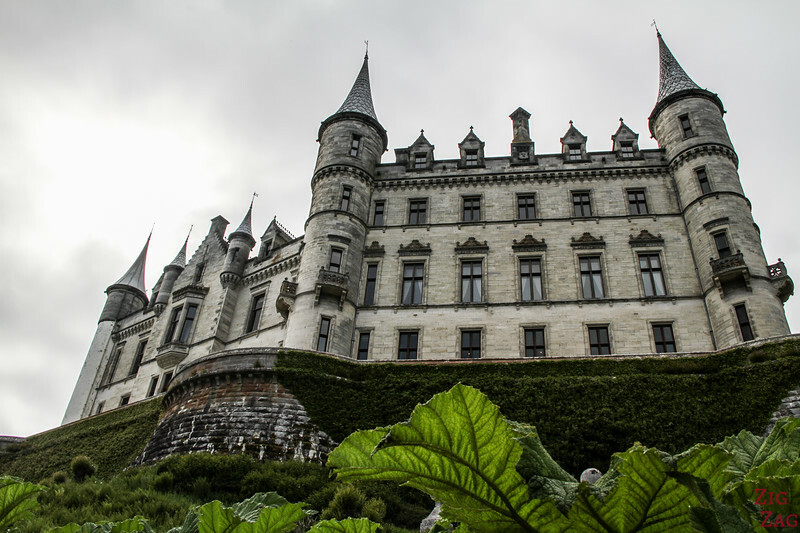 Dunrobin was one of the first castles listed in this article. 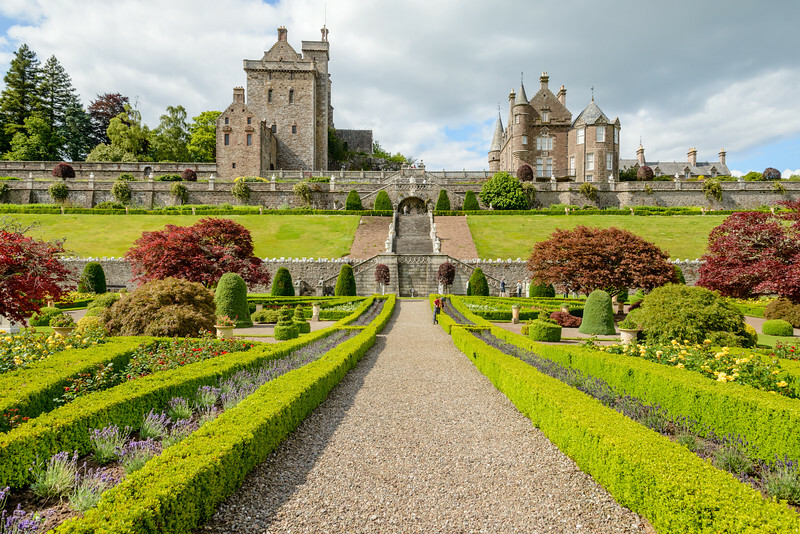 I decided to add it again in this category because its gardens between the castle and the sea are beautifully maintained and provide stunning views of the castle. Also considered one of the best Scottish Castles , Drummond Castle is mostly famous for its surrounding park. 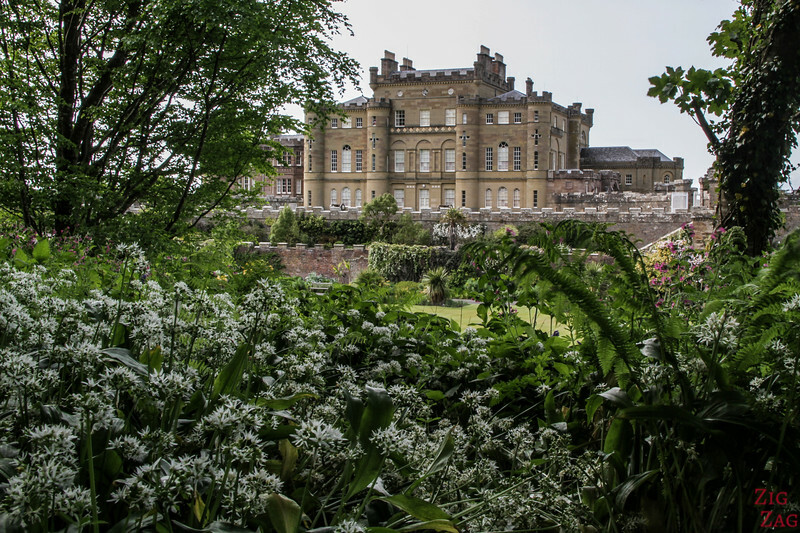 Located in Perthshire, the terraces are covered in formal garden with statues and clean cut trees. 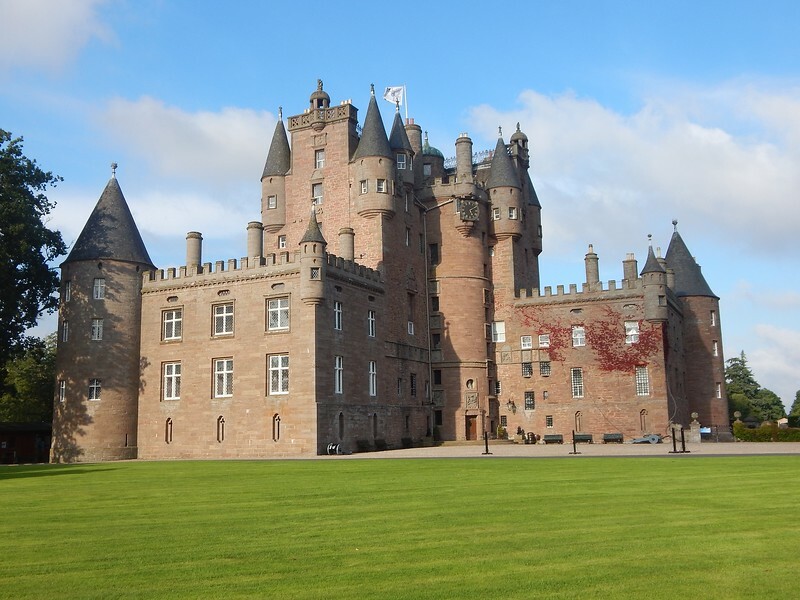 Glamis is the one castle I wish I had had time to visit. But is was quite a detour from my itinerary for just one castle. Located North East of Perth, the impressive building dates back largely from the 17th century. It is considered quite an icon based on its size and color. Some people might shout at me for it. 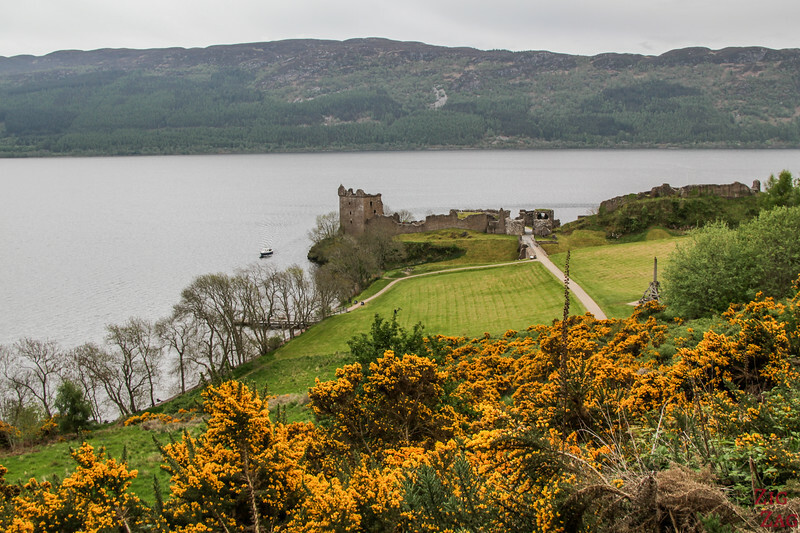 But I think the Loch Ness and Urquhart Castle are overrated, all because of a monster that nobody can see... yes it is fun to tell people you have been to the Loch Ness but after seeing so many lochs in Scotland, I can tell you this one is quite boring. And I think the ruins of the Urquhart castle pale in comparison to all the other castles I have shown you in this article. Yet this is a highly touristic site, with big coaches coming in everyday. I was not expecting much from it so I was not that disappointed. 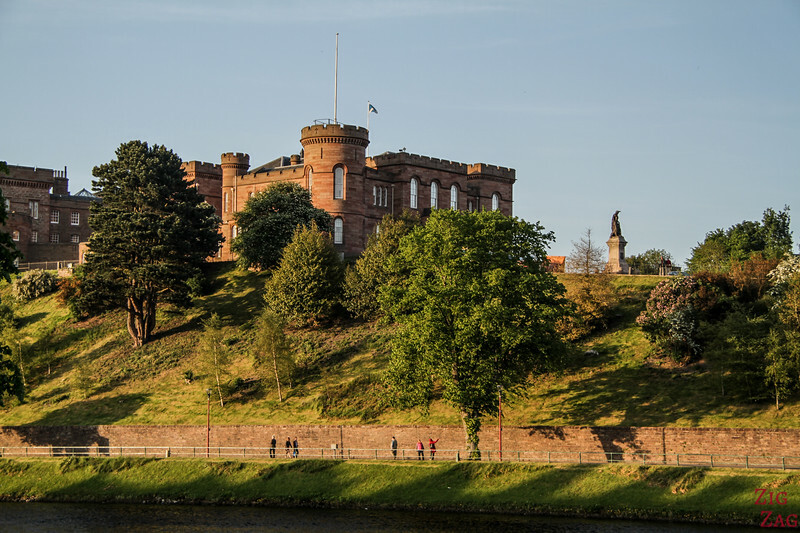 But when you see the castles in Edinburgh and in Stirling, the castle of Inverness looks boring. However the lovely river and surrounding town make up for it. And now, sit back and enjoy a Scotland road trip through its castles. Spending the night in a castle in Scotland, does that tempt you? In Scotland some large houses and castles are open to the public as Castle hotels. For those who are looking for a unique experience! 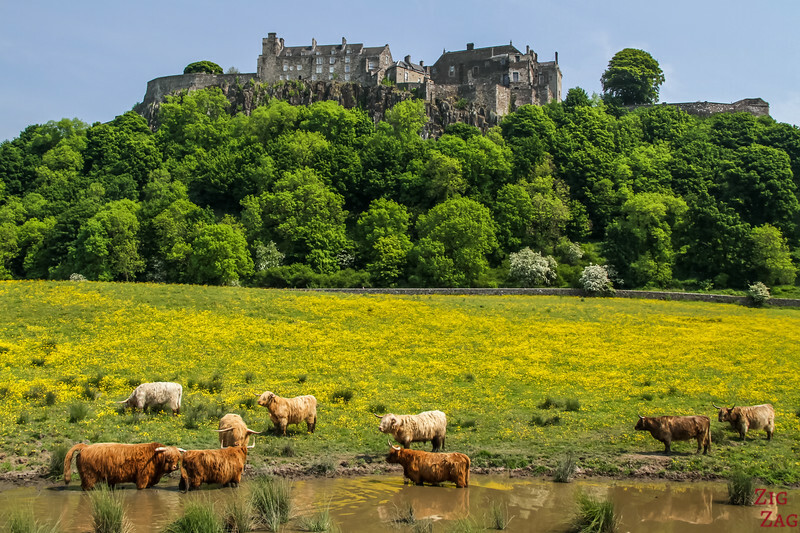 The Broomhall Castle, not far from Stirling, offers beautiful suites with a lot of charms and for some of them a view over the Stirling Castle. Which ones would you love to visit? Thank you for this in depth review of castles. My son has decided he wants to go visit real castles and Scotland is on our list!